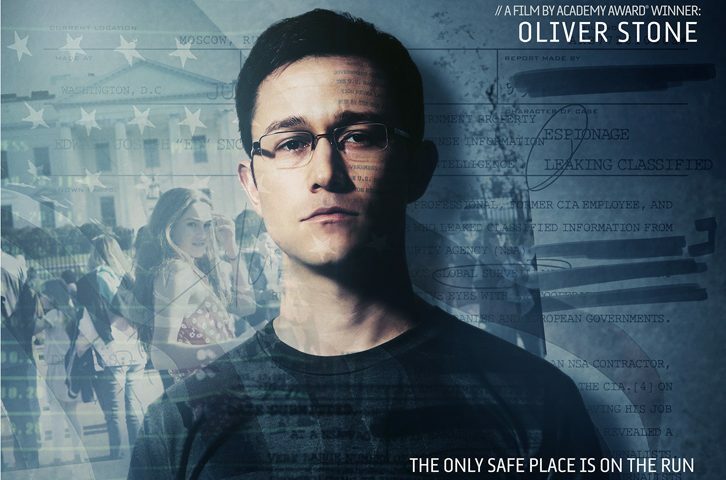 Open Road Films has released the first full trailer for Oliver Stone’s (Platoon, Wall Street) new movie Snowden, starring Joseph Gordon-Levitt (Looper) as the infamous Edward Snowden and Divergent‘s Shailene Woodley. Snowden tackles the most important and fascinating true story of the 21st century, the politically-charged, untold personal story of Edward Snowden, the polarizing figure who exposed shocking illegal surveillance activities by the NSA and became one of the most wanted men in the world. He is considered a hero by some, and a traitor by others. No matter which you believe, the epic story of why he did it, who he left behind, and how he pulled it off makes for one of the most compelling films of the year. The film also co-stars Melissa Leo, Zachary Quinto, Tom Wilkinson, Rhys Ifans, Nicolas Cage, Scott Eastwood, Joely Richardson, Timothy Olyphant and Ben Schnetze. Snowden is released in cinemas on 16th September 2016.